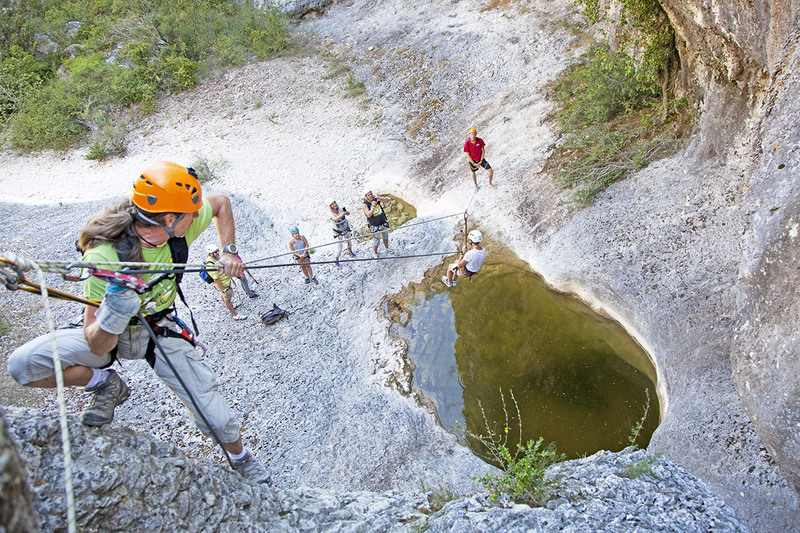 1/2 day of glorious Ardèche landscapes "seen from above"
Swinging jump halfway around the course for the most courageous participants.For 5 years and over. 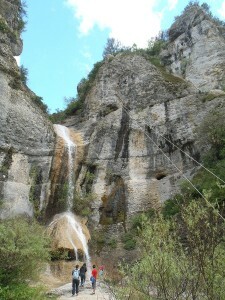 From the car park, we cross the medieval village of Rochecolombe to pass below the waterfall and enter the Vendoule dry canyon. 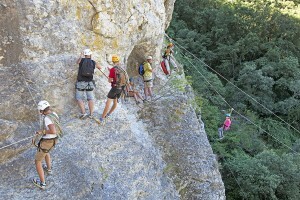 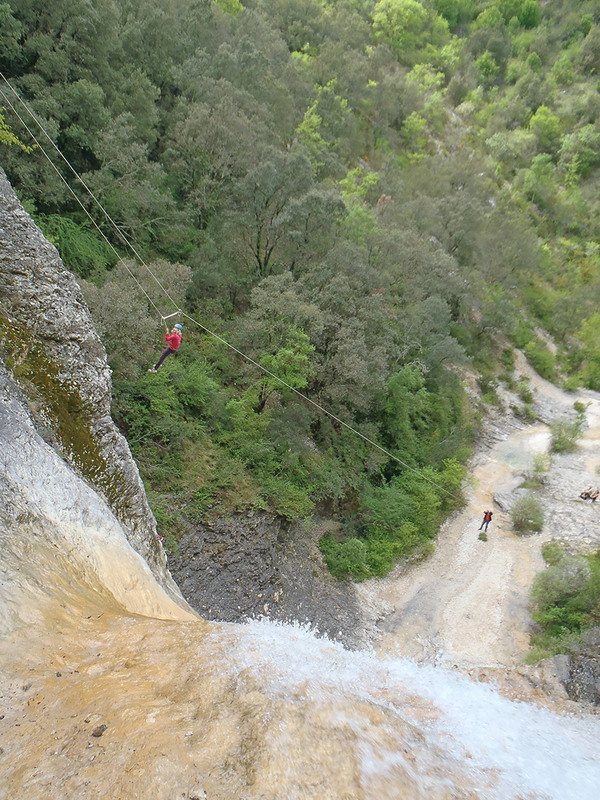 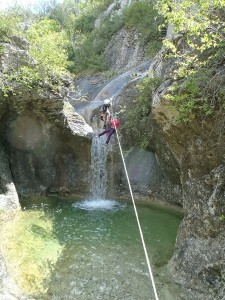 You cross the three ziplines perfectly safely with the help of your guide. 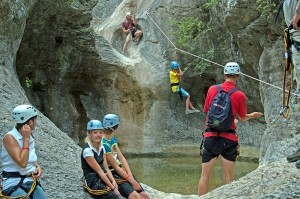 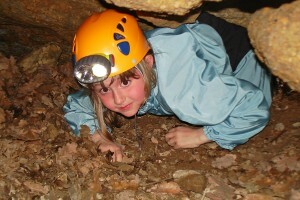 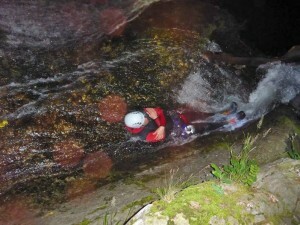  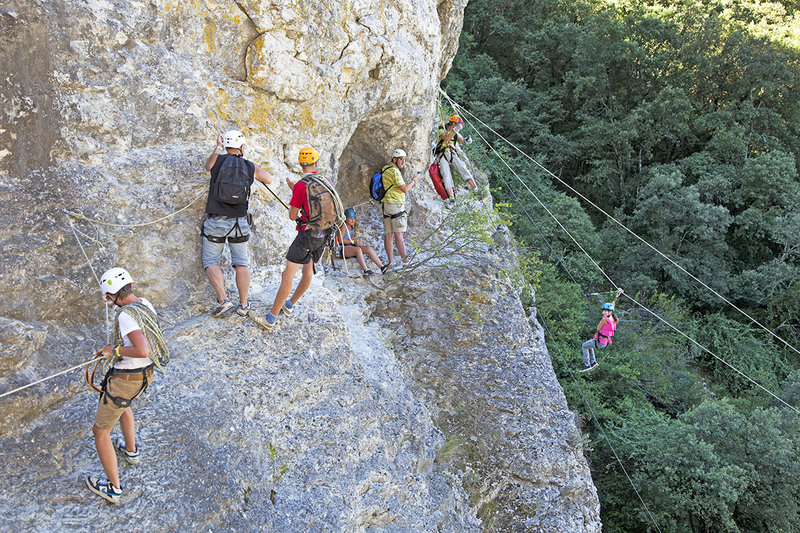 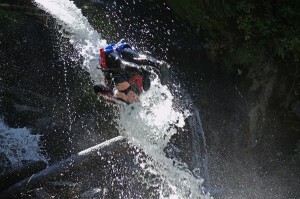 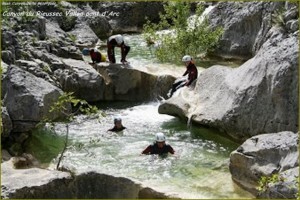 The route combines climbing, caving and adventure. 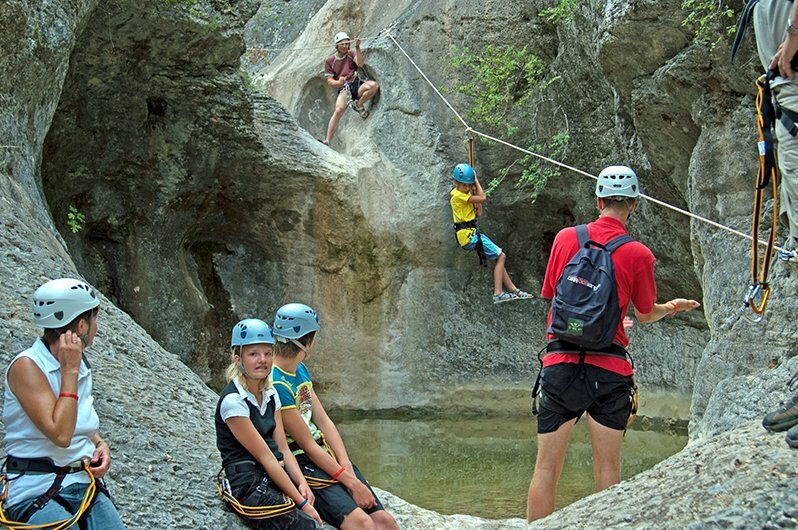 This surprising course has something for all the family except, perhaps, for teenagers. 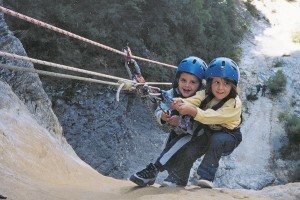 You can bring your camera or camcorder without any worries. 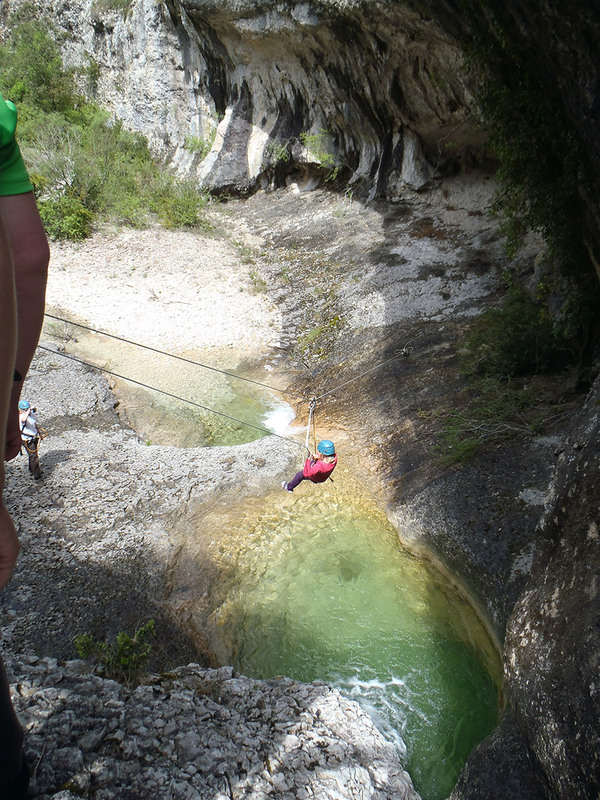 A mini-adventure to discover the feeling of crossing a chasm in complete safety.